Take a deep breath in the great outdoors. This outdoor bench with a backrest and detachable cushions allows you to extend your hosting space and showcase your beautiful garden. Designed with clean lines and a sophisticated colour palette, this minimalist collection will only enhance the greenery and blooms you’ve got going, and is designed to match our Catania table. 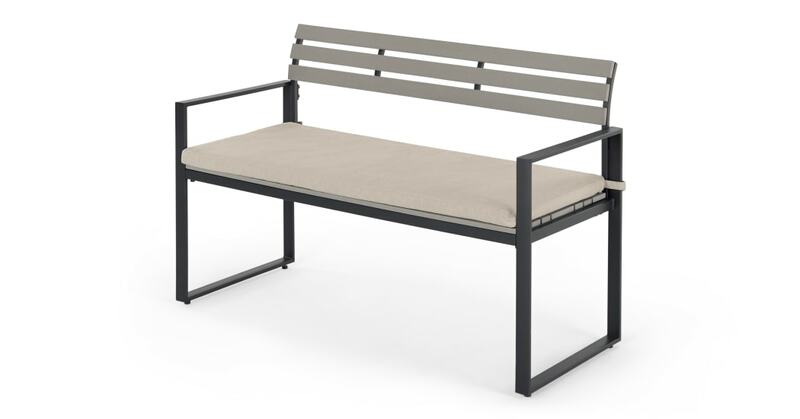 This bench is fit for every garden, either alone or matched with the full Catania collection. It's built to endure the weather too - just remember to cover it or take it inside during heavy rain.